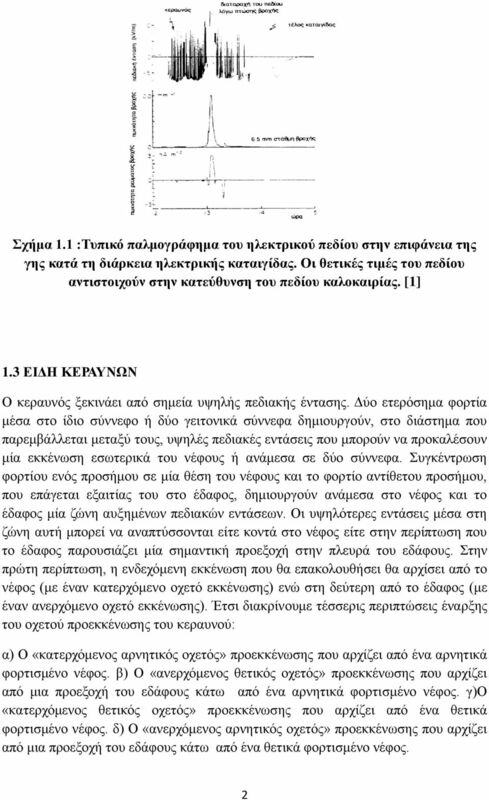 Download "ΠΑΝΔΠΗΣΖΜΗΟ ΠΑΣΡΩΝ ΣΜΖΜΑ ΖΛΔΚΣΡΟΛΟΓΩΝ ΜΖΥΑΝΗΚΩΝ ΚΑΗ ΣΔΥΝΟΛΟΓΗΑ ΤΠΟΛΟΓΗΣΩΝ ΣΟΜΔΑ ΤΣΖΜΑΣΩΝ ΖΛΔΚΣΡΗΚΖ ΔΝΔΡΓΔΗΑ"
3 Δπραξηζηίεο: Δπραξηζηώ ζεξκά ηελ θαζεγήηξηά κνπ θαη επηβιέπνπζα ηεο δηπισκαηηθήο εξγαζίαο θ. Διεπζεξία Ππξγηώηε γηα ηελ θαζνδήγεζή θαη ηηο ζπκβνπιέο όζνλ αθνξά ηελ εθπόλεζε ηεο παξνύζαο εξγαζίαο. 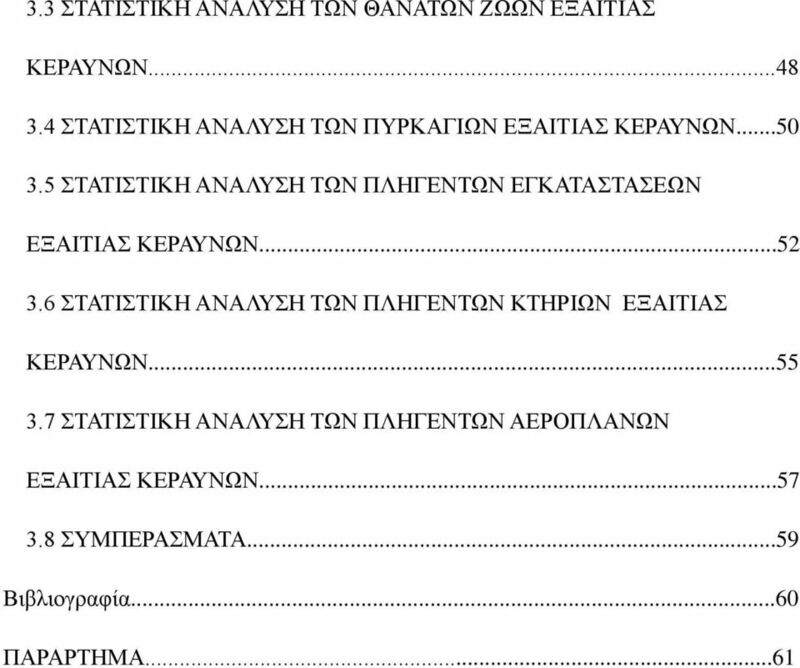 5 ζπκβάλησλ λα γίλεηαη θαηά ηνπο κήλεο ηνπ κεζνθαιόθαηξνπ, κε ηνλ Μάην λα είλαη ν «ρεηξόηεξνο» από ηνπο δώδεθα κήλεο. Καηά ηελ εληεθάρξνλε πεξίνδν παξαηεξήζεθαλ 178 ζάλαηνη δώσλ θαη ν κέζνο όξνο είλαη 16,18 αλά έηνο κε κόιηο εθηά πιήγκαηα θεξαπλώλ. 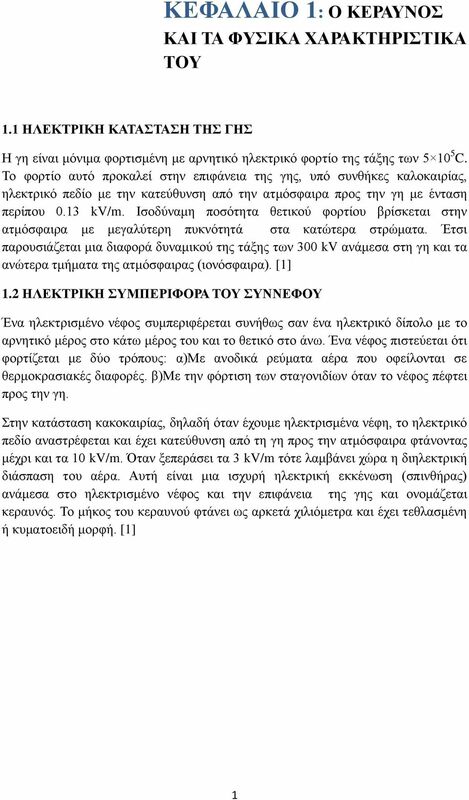 Σνλ Ηνύιην ζεκεηώζεθαλ νη πεξηζζόηεξνη ζάλαηνη θαη ην 83% ηνπο κήλεο ηνπ κεζνθαιόθαηξνπ. 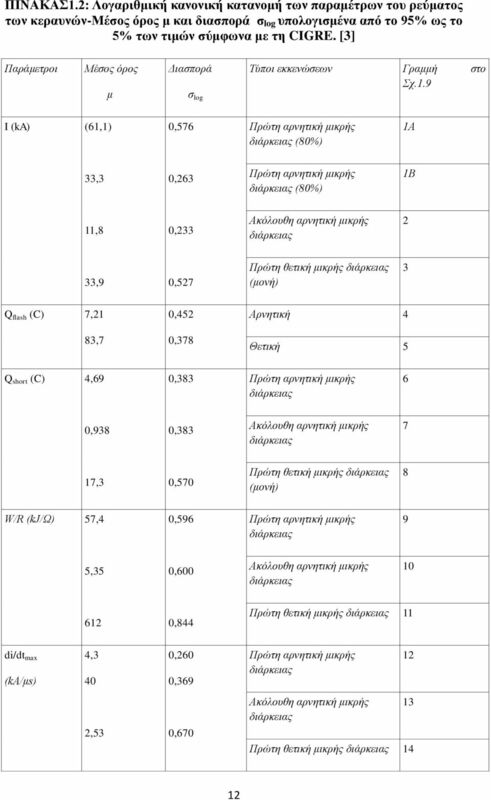 Οη ππξθαγηέο πνπ ζεκεηώζεθαλ ήηαλ 67 κε ην 85% λα είλαη δαζηθέο. 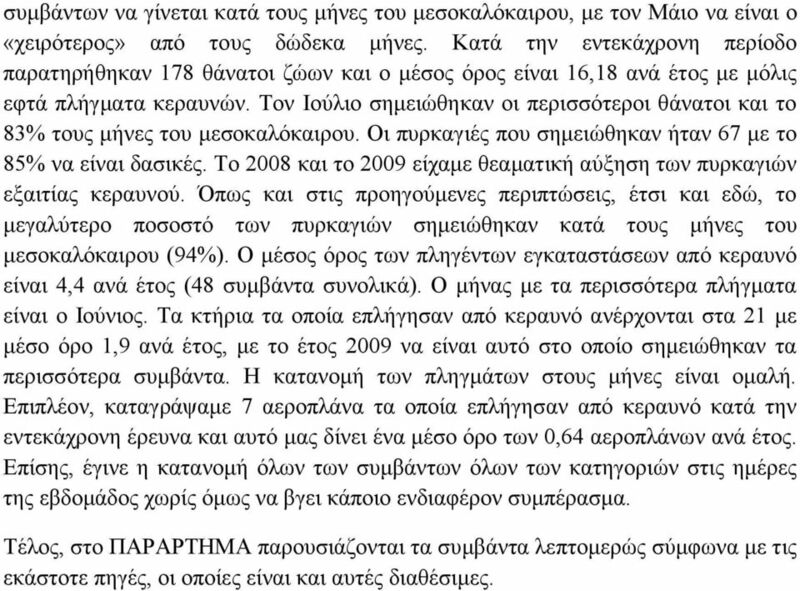 Σν 2008 θαη ην 2009 είρακε ζεακαηηθή αύμεζε ησλ ππξθαγηώλ εμαηηίαο θεξαπλνύ. Όπσο θαη ζηηο πξνεγνύκελεο πεξηπηώζεηο, έηζη θαη εδώ, ην κεγαιύηεξν πνζνζηό ησλ ππξθαγηώλ ζεκεηώζεθαλ θαηά ηνπο κήλεο ηνπ κεζνθαιόθαηξνπ (94%). Ο κέζνο όξνο ησλ πιεγέλησλ εγθαηαζηάζεσλ από θεξαπλό είλαη 4,4 αλά έηνο (48 ζπκβάληα ζπλνιηθά). 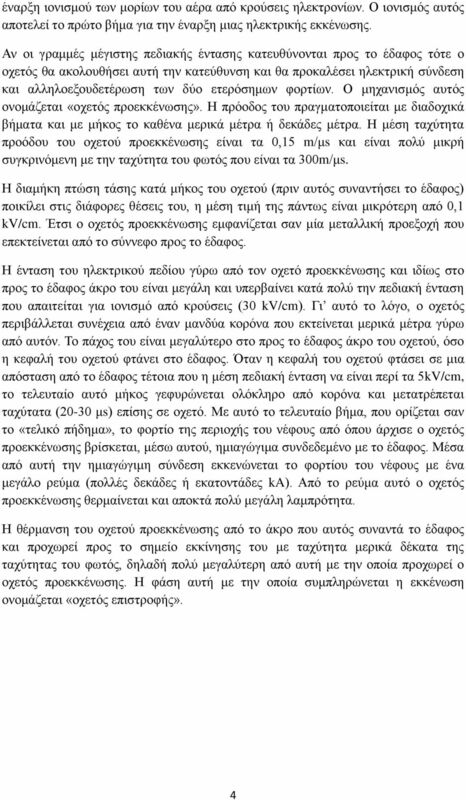 Ο κήλαο κε ηα πεξηζζόηεξα πιήγκαηα είλαη ν Ηνύληνο. Σα θηήξηα ηα νπνία επιήγεζαλ από θεξαπλό αλέξρνληαη ζηα 21 κε κέζν όξν 1,9 αλά έηνο, κε ην έηνο 2009 λα είλαη απηό ζην νπνίν ζεκεηώζεθαλ ηα πεξηζζόηεξα ζπκβάληα. 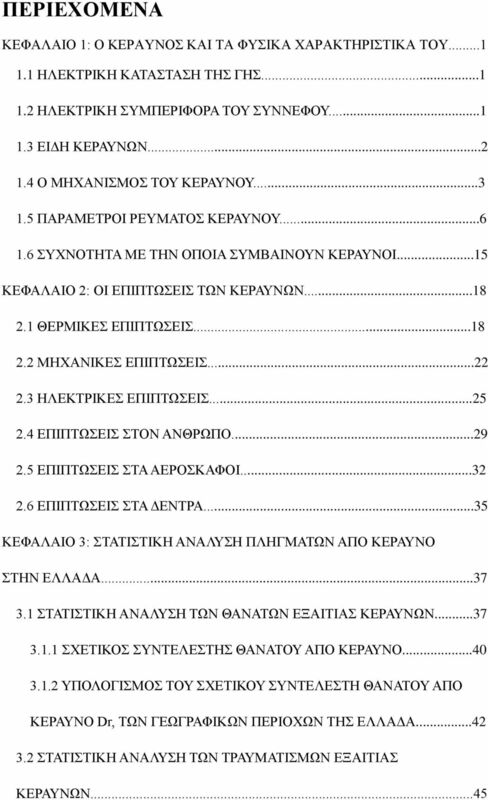 Ζ θαηαλνκή ησλ πιεγκάησλ ζηνπο κήλεο είλαη νκαιή. 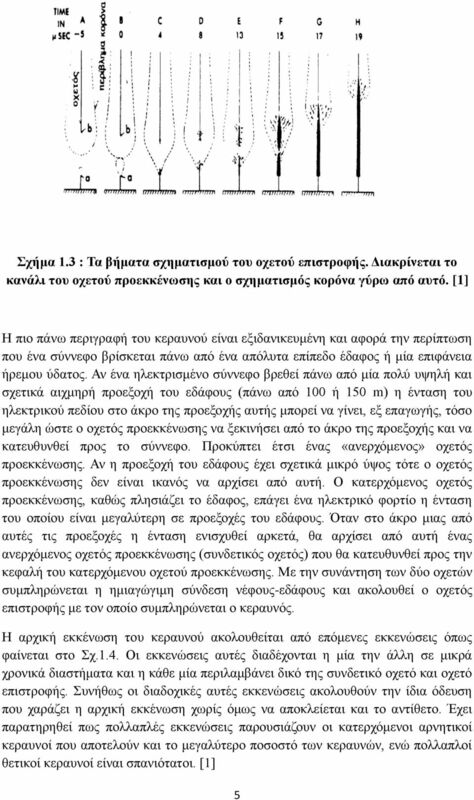 Δπηπιένλ, θαηαγξάςακε 7 αεξνπιάλα ηα νπνία επιήγεζαλ από θεξαπλό θαηά ηελ εληεθάρξνλε έξεπλα θαη απηό καο δίλεη έλα κέζν όξν ησλ 0,64 αεξνπιάλσλ αλά έηνο. 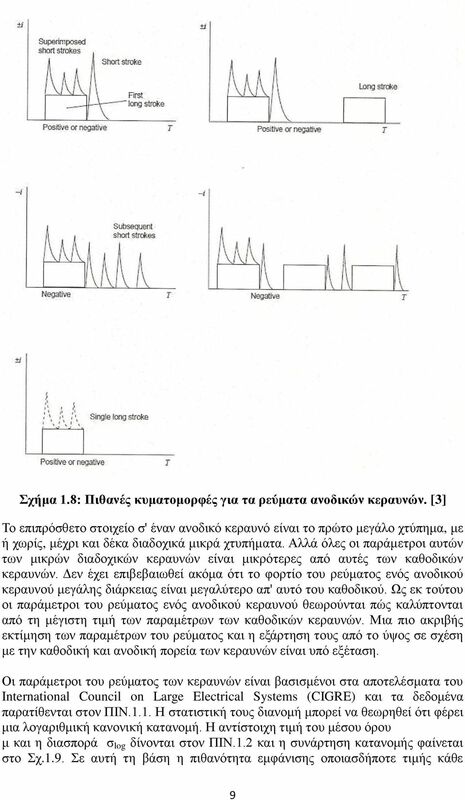 Δπίζεο, έγηλε ε θαηαλνκή όισλ ησλ ζπκβάλησλ όισλ ησλ θαηεγνξηώλ ζηηο εκέξεο ηεο εβδνκάδνο ρσξίο όκσο λα βγεη θάπνην ελδηαθέξνλ ζπκπέξαζκα. Σέινο, ζην ΠΑΡΑΡΣΖΜΑ παξνπζηάδνληαη ηα ζπκβάληα ιεπηνκεξώο ζύκθσλα κε ηηο εθάζηνηε πεγέο, νη νπνίεο είλαη θαη απηέο δηαζέζηκεο. 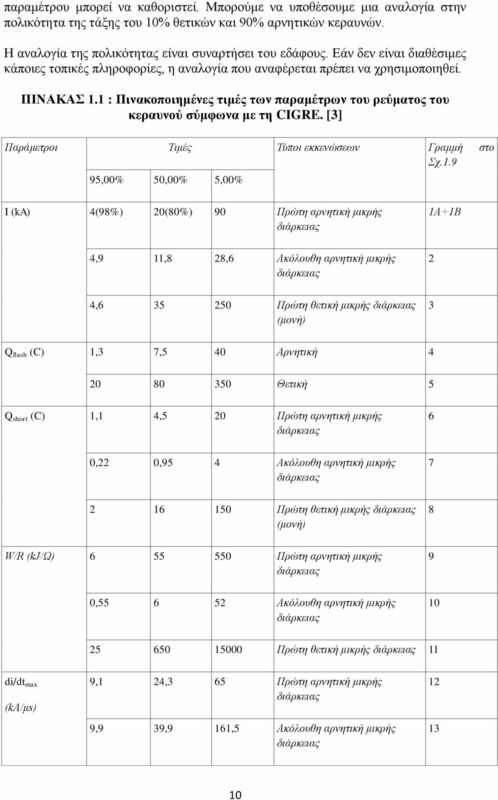 6 ABSTRACT This study is an attempt to make the statistical analysis of lightning strikes over the last eleven years ( ). 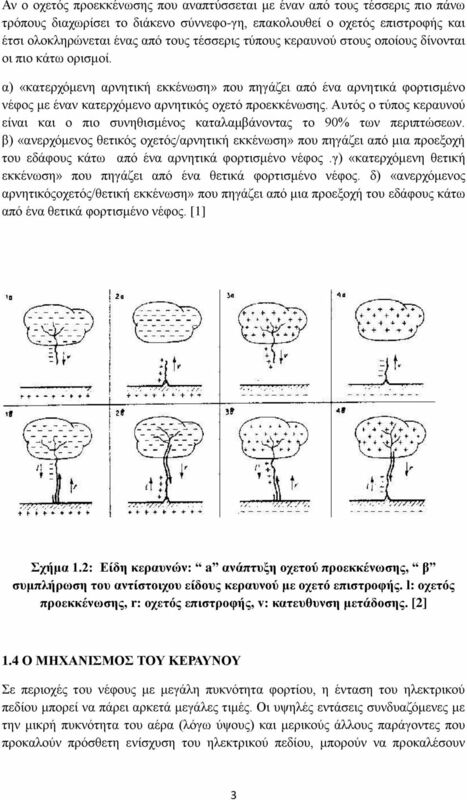 The first chapter describes the phenomenon of lightning, types of lightning and natural features, while the second section outlines the implications of these. 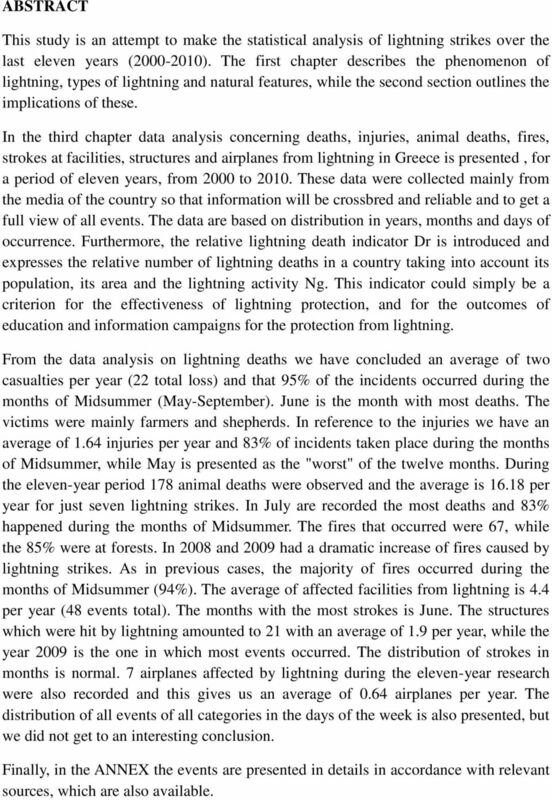 In the third chapter data analysis concerning deaths, injuries, animal deaths, fires, strokes at facilities, structures and airplanes from lightning in Greece is presented, for a period of eleven years, from 2000 to These data were collected mainly from the media of the country so that information will be crossbred and reliable and to get a full view of all events. The data are based on distribution in years, months and days of occurrence. Furthermore, the relative lightning death indicator Dr is introduced and expresses the relative number of lightning deaths in a country taking into account its population, its area and the lightning activity Ng. This indicator could simply be a criterion for the effectiveness of lightning protection, and for the outcomes of education and information campaigns for the protection from lightning. From the data analysis on lightning deaths we have concluded an average of two casualties per year (22 total loss) and that 95% of the incidents occurred during the months of Midsummer (May-September). June is the month with most deaths. The victims were mainly farmers and shepherds. In reference to the injuries we have an average of 1.64 injuries per year and 83% of incidents taken place during the months of Midsummer, while May is presented as the "worst" of the twelve months. During the eleven-year period 178 animal deaths were observed and the average is per year for just seven lightning strikes. In July are recorded the most deaths and 83% happened during the months of Midsummer. The fires that occurred were 67, while the 85% were at forests. In 2008 and 2009 had a dramatic increase of fires caused by lightning strikes. As in previous cases, the majority of fires occurred during the months of Midsummer (94%). The average of affected facilities from lightning is 4.4 per year (48 events total). The months with the most strokes is June. The structures which were hit by lightning amounted to 21 with an average of 1.9 per year, while the year 2009 is the one in which most events occurred. The distribution of strokes in months is normal. 7 airplanes affected by lightning during the eleven-year research were also recorded and this gives us an average of 0.64 airplanes per year. The distribution of all events of all categories in the days of the week is also presented, but we did not get to an interesting conclusion. Finally, in the ANNEX the events are presented in details in accordance with relevant sources, which are also available. ` ΣΖΛΔΣΤΠΟ ΑΝΧΝΤΜΖ ΔΣΑΗΡΔΗΑ ΣΖΛΔΟΠΣΗΚΧΝ ΠΡΟΓΡΑΜΜΑΣΧΝ MEGA CHANNEL ΔΝΓΗΑΜΔΔ ΤΝΟΠΣΗΚΔ ΔΝΟΠΟΗΖΜΔΝΔ & ΔΣΑΗΡΗΚΔ ΟΗΚΟΝΟΜΗΚΔ ΚΑΣΑΣΑΔΗ 31 εο ΜΑΡΣΗΟΤ, 2011 Π Δ Ρ Η Δ Υ Ο Μ Δ Ν Α ειίδεο Α. ΔΚΘΔΖ ΔΠΗΚΟΠΖΖ 1-2 Β.
ΣΔΥΝΟΛΟΓΙΚΟ ΔΚΠΑΙΓΔΤΣΙΚΟ ΙΓΡΤΜΑ ΚΑΒΑΛΑ ΥΟΛΗ ΣΔΥΝΟΛΟΓΙΚΧΝ ΔΦΑΡΜΟΓΧΝ ΣΜΗΜΑ ΣΔΥΝΟΛΟΓΙΑ ΠΔΣΡΔΛΑΙΟΤ ΚΑΙ ΦΤΙΚΟΤ ΑΔΡΙΟΤ ΠΣΤΥΙΑΚΗ ΔΡΓΑΙΑ ΔΓΚΑΣΑΣΑΔΙ ΦΤΙΚΟΤ ΑΔΡΙΟΤ ΓΙΑ ΟΙΚΙΑΚΗ ΥΡΗΗ ΝΙΚΟΛΑΟΤ ΑΝΓΡΔΑ ΔΠΙΒΛΔΠΧΝ: Γξ. Ζ ΑΝΣΗΛΖΦΖ ΚΑΗ Ζ ΤΜΒΟΤΛΔΤΣΗΚΖ ΠΑΡΔΜΒΑΖ ΣΟΤ ΔΚΠΑΗΓΔΤΣΗΚΟΤ ΣΖ ΠΡΧΣΟΒΑΘΜΗΑ ΔΚΠΑΗΓΔΤΖ ΓΤΡΧ ΑΠΟ ΣΟ ΥΟΛΗΚΟ ΔΚΦΟΒΗΜΟ (BULLYING) Δηξήλε Ν. Βεγηάλλε (Α.Μ. 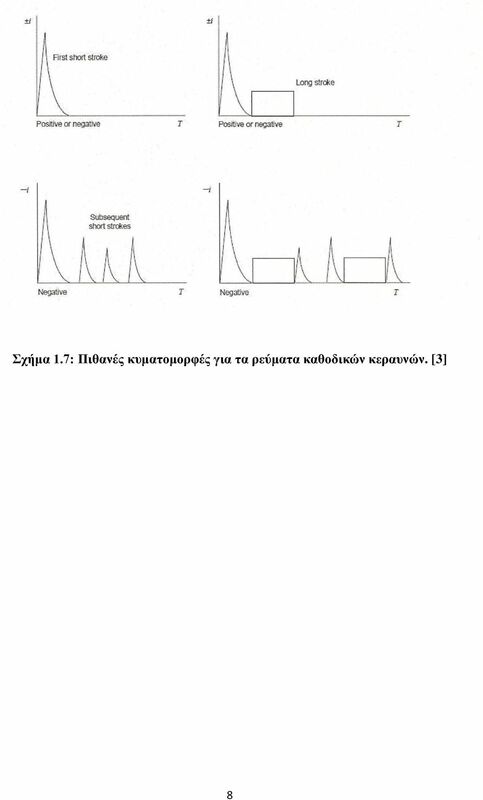 ΠΡΟΚΖΡΤΞΖ. 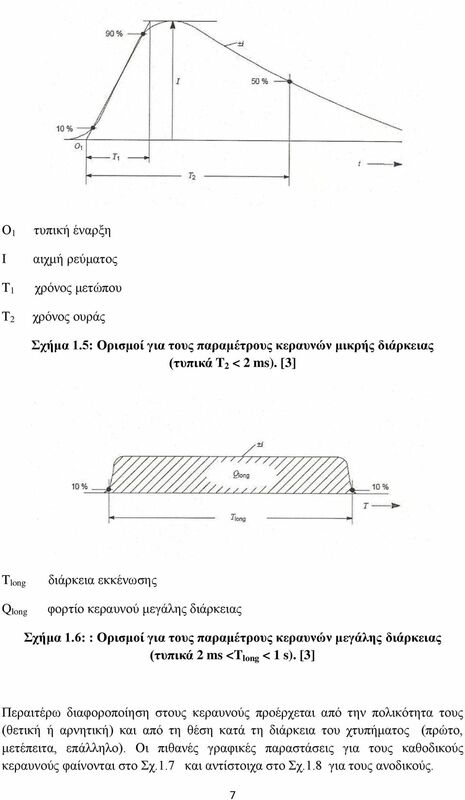 α) Σνπ Π.Γ 63/2005 Κσδηθνπνίεζε ηεο λνκνζεζίαο γηα ηελ Κπβέξλεζε θαη ηα Κπβεξλεηηθά Όξγαλα..